The University of Wisconsin-Milwaukee has elected two new leaders for its School of Architecture and Urban Planning (SARUP). 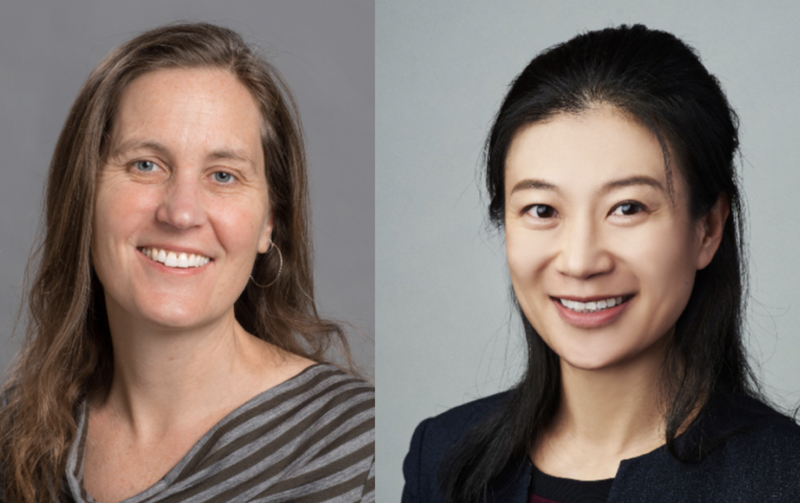 Lingqian (Ivy) Hu will serve as chair of the Urban Planning department, with Mo Zell taking over as chair of the architecture department. Zell is currently the associate dean and will be the first woman to chair the department. Hu has served as associate professor at UW-Milwaukee since 2010. Lingqian (Ivy) Hu has written extensively on spatial mismatch both in the United States and China. With a research focus on how transportation policy and planning affects the lives of people in vulnerable communities, Hu’s tenure as chair comes as UW-Milwaukee’s Master of Urban Planning degree program receives accreditation for another seven years. UW-Milwaukee has been offering urban planning courses since 1974, will full accreditation given by the American Planning Association (APA) in 1977. Mo Zell is a member of the leadership team of Woman in Design Milwaukee and a partner at bauenstudio, designers of the Veterans Memorial at Northeastern University and finalists of the 2011 Burnham Prize and the Washington Monument Grounds Ideas Competition. Zell founded the Mobile Design Box for SARUP, connecting community entrepreneurs with UWM designers in a formerly vacant space in Milwaukee’s Concordia neighborhood. The recipient of a $30,000 National Endowment for the Arts (NEA) Creativity Connects program grant, Zell will assist in connecting a pool of architects, artists and designers in creating commissioned art, with projects constructed in venues across Milwaukee that discuss the city’s socioeconomic diversity and material culture. Zell has authored books on traditional architectural drawing. According to the National Council of Architectural Registration Boards (NCARB), four out of ten architecture graduates in 2017 were women. The Planning Accreditation Board (PAB) reports that women make up 39% of graduate program faculties in urban planning schools.